National Infertility Awareness Week | Take 25% Off Today Only! No promo code required, discount automatically applied at checkout. 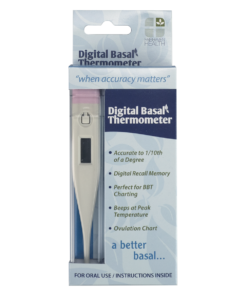 An affordable, high quality saliva-based fertility test that predicts ovulation by detecting the estrogen surge. 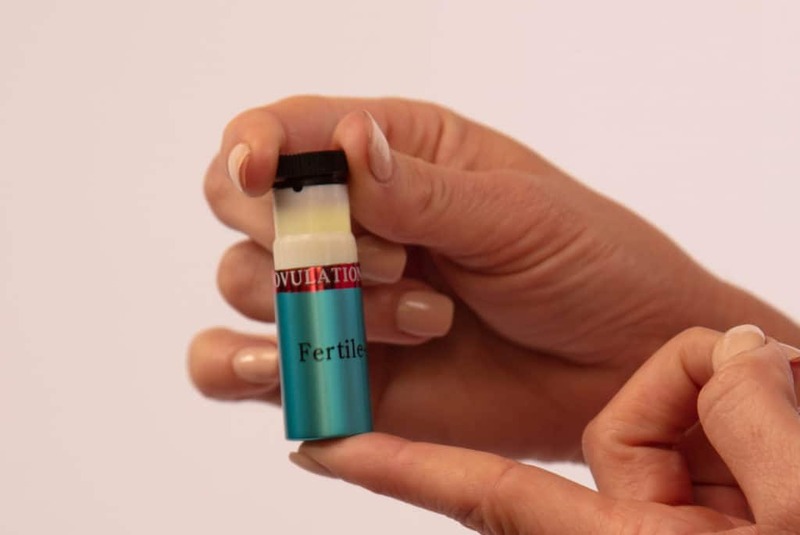 Convenient, discreet, and easy to use, Fertile Focus is reusable for unlimited testing. Designed by leading fertility expert, Dr. Amos Grunebaum, ObGyn, Fertile-Focus is the affordable high-quality saliva-based fertility test (or personal ovulation microscope) that predicts ovulation – up to 72 hours in advance. Fertile-Focus allows you to identify their most fertile days by testing and viewing the visual changes that take place in saliva throughout the monthly cycle. Just prior to ovulation, women experience an “estrogen surge,” and a distinct fern-like pattern becomes visible in saliva due to the hormonal changes. 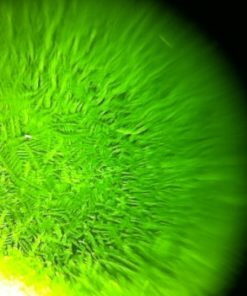 Fertile-Focus provides the highest quality, powerful 50x magnification lens for easily identifying these crystal “ferning” patterns. 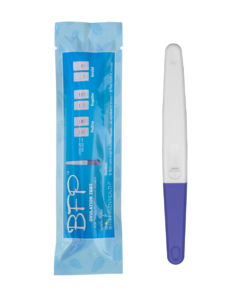 Ranked as a top customer favorite for quality, convenience and price, Fertile-Focus offers accuracy without the mess and monthly expense of urine ovulation tests. All-natural, hygienic, and effortless to use, the technique of ovulation microscopy is also backed by published research. 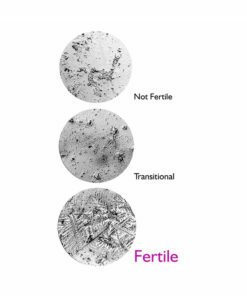 For women who are trying to conceive, ovulation microscopy has been found to be a highly accurate method. 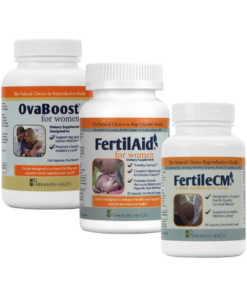 Ideal for women with both regular or irregular menstrual cycles, Fertile-Focus offers you a natural and affordable way to increase your chances of conception. Actual customer photo of her ferning pattern just prior to ovulation. To use Fertile Focus, simply place a drop of saliva from under your tongue on the lens. Once the sample has dried (typically within 5 minutes), press the LED light button and view resultant pattern through the lab-quality magnifying lens. If you are ovulating – or if you’re about to ovulate – a distinct “ferning” crystal-like pattern can be viewed. This is your indication that it’s time to make love for babymaking purposes! High quality – 50x magnifying high quality lens. Reusable for unlimited tests, with long-lasting replaceable battery. Discreetly packaged in a durable metal lipstick-design case. Simple, 5-minute results without messy urine LH testing. Fertile-Focus is a personal ovulation microscope that allows you to predict ovulation – your most fertile time of the month to conceive. When a woman is about to ovulate, her saliva begins to form a distinct crystal, fern-like pattern due to an increase in hormone levels – as seen through Fertile-Focus. This “ferning” pattern begins to appear around 3 to 5 days prior to ovulation, allowing you to predict peak fertility. 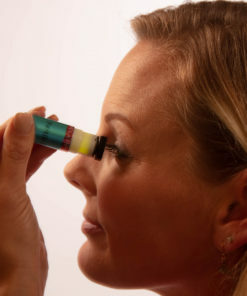 With Fertile-Focus, PULL the lens from the tube and add a drop of saliva. Let the sample dry. In about five minutes, view the sample through the microscope. Press the LED light button and focus by turning the eyepiece of the microscope. If you are ovulating – or about to ovulate – a ferning, crystal-like pattern can be viewed. NOTE: Test first thing in the morning using a sublingual saliva sample (fresh from below the tongue). Do not test after eating, drinking, smoking, or brushing teeth. Carefully remove the lens by pulling it out of the casing. Pull the lens – do not unscrew. Place a drop of saliva on the surface of the lens. Try to avoid creating air bubbles. Allow the saliva sample to dry for at least five minutes and replace the lens into the body of the microscope. Look into the lens and push the light button to observe the test result. To focus, rotate the lens while bringing it close to the eye. Not Fertile: Simple dot patterns and lines indicate no ovulation. You are not fertile at this time. Transitional: Small ferning patterns – or crystal forms – appear among the spots and lines. Ovulation may occur in 3-4 days. At this time, conception is possible, though not yet likely. Fertile: Strong ferning – or crystal – patterns dominate the sample. Ovulation is about to occur or already occurring. At this time, conception is likely. This is your most fertile time of the month. Conception is possible from between 5 days before to 24 hours after ovulation. For best results, test on a daily basis, preferably first thing in the morning before eating, drinking or brushing your teeth. Track each day’s results on a calendar or fertility chart. When you begin to see a ferning pattern, the onset of ovulation is approaching. This is the beginning of your most fertile time to conceive. The science behind Fertile Focus is really quite simple in principle. As you approach the time of the month when you are most fertile, the level of the hormone estrogen increases in your body (see the blue line below). As the estrogen surge intensifies, so does the concentration of electrolytes (salinity) in your saliva. This is the cause of the crystal ferning patterns that indicate that you may be about to ovulate. By detecting changes in electrolytes in saliva – which are caused by an increase of the hormone estrogen – you can learn when you are most likely to conceive a baby! The Blue Line represents the hormone estrogen that increases in your body before you ovulate – and causes the ferning patterns viewable in dry saliva samples. As the blue line rises, indicating an estrogen surge, so increases the intensity of ferning patterns, indicating that ovulation is about to take place – or is already taking place. Notice how the blue line increases earlier than the green line? The green line is LH – or luteinizing hormone. Lh ovulation (urine) tests tell you when you are going to ovulate just a day or two before ovulation happens. 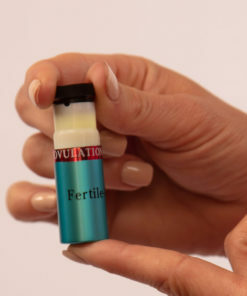 Fertile Focus can alert you to when you will ovulate up to several days before peak fertility! What is the best way to collect a saliva sample? We recommend you collect your saliva sample prior to eating or drinking anything. We recommend that you take the sample from underneath your tongue, with the tip of your finger. You will want to ensure that you are waiting until your sample has completely dried prior to interpreting your result. Can I test at any point in the day? We only recommend that you test first thing in the morning (before eating, drinking, or brushing your teeth) as it will be the most accurate sample. If you were to test later on in the day, all the food and drink you’ve consumed will alter the results. Yes, you will use the microscope daily. After each use, you will want to clean your lens with a damp cloth. Do the results stay on the lens of the microscope until I wipe it off? Yes, your saliva will dry on the lens and remain there until you clean it. What should your results look like if you are pregnant OR before menstruation starts? If you’ve conceived, you may see extended ferning patterns. You may also see ferning around menstruation. Will my ferning pattern change if I review the results after 5 minutes? No, your pattern will be the same. You do want to ensure that your saliva is entirely dry before interpreting the results. If you notice no patterning at the 5 minute review time, then you can either try to apply less saliva for a quicker dry time, or you can just read the results after 30-60 minutes. What is the accuracy of this tracking tool? The FertileFocus is 98% accurate. What if I don’t see any results? For the majority of your cycle, you will not see any patterning. This is completely normal! Ferning will become visible in saliva only when estrogen is present. So, as you approach your fertile window you will see transitional ferning become full ferning as estrogen increases an ovulation is approaching. Will this product work for someone that has irregular cycles? The FertileFocus can be used by women with irregular cycles. It may take a cycle or two to understand your specific trends, however. How would exclusive breastfeeding affect the results? When breastfeeding, it’s common to see more ferning patterns due to your hormonal fluctuations. What type of battery is required? The FertileFocus comes with a battery ready for your use. If you have to replace the battery on your unit, you will want to purchase a standard watch battery, code GPA76. My eyes are sensitive to the light. Any tips on reviewing results? We recommend that you use a piece of tissue to soften the light. Can I use the FertileFocus with another tracking tool? Yes, we highly recommend that you are using as many tracking tools as possible to best pinpoint your fertile window. 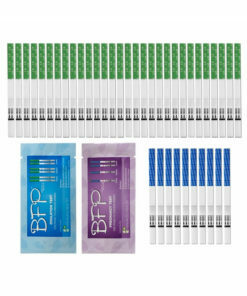 If you are using the OvaCue or tracking your BBT, then we would encourage that you take these readings before taking your saliva sample for review. Studies indicate that ovulation microscopy is a very accurate means of predicting fertility. As estrogen increases in the body prior to ovulation, the levels of electrolytes in saliva also increase. Elevated levels of estrogen – and corresponding salivary electrolytes – create visible ferns or ferning patterns in dry samples of saliva (when viewed under a microscope). The Authors performed the saliva test on nº328 women using the Saliva Tester. In nº48 cases the test results revealed a fern-like crystallized structures as illustrated in “Figure 3″below. In nº20 cases they performed a Transvaginal Ultrasonography (T.V.U.S.). In nº16 cases (80%) they found an ovarian follicle greater than 2 cm. To know the days of their menstrual cycle when fecundation is possible has always been a demand felt by women and this both in the case when they want to avoid it (1). Many methodologies exist that enable us to verify or not the presence of a mature ovarian follicle or its happened explosion. A very simple methodology was reached with observation and testing of the Saliva Tester; results that may be easily and directly realized by any woman, at any moment of the day, anywhere. The prospective advantages that descend as to the knowledge of the useful days for a fecundation are such that they led us to directly and correctly try this new test. It has been considered the use of a mini-microscope, or “Saliva Fertility Tester”, made up of a small cylindrical body or eyepiece where we note an optical part with an opposite small slide where a sample of saliva is placed. 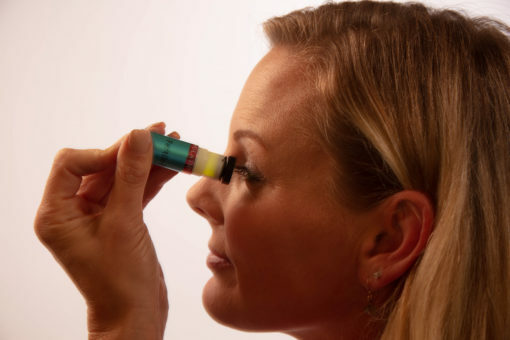 As soon as the sample of saliva has dried, the small eyepiece body is put into a cylindrical container, that leads down to a lighting system. 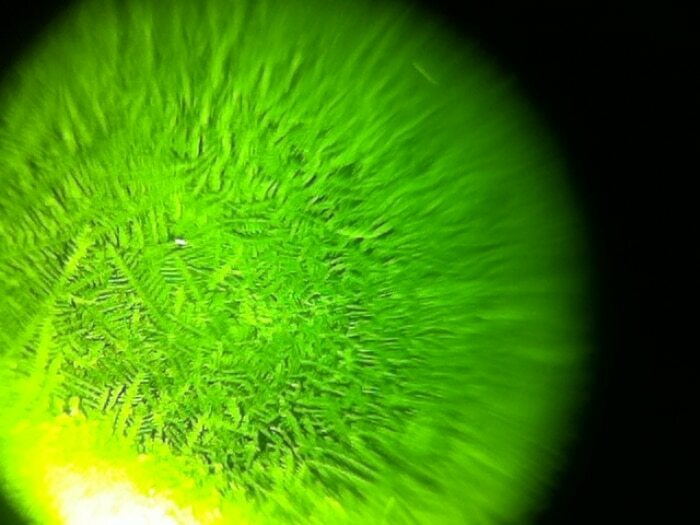 By focusing the lens, a fern-like characteristic crystallization is pointed out, in a very near correlation with the ovulation period (Figure 3). Out of the fertile days there are no fern-like crystallization structures seen, as pictures named “Figure 1” (during the non-fertile period) and “Figure 2” (during the intermediate period) indicate. See image below. We have taken into consideration 328 women between 15 and 50 years old, not using OCP who were placed under our observation at the out-patients’ departments of the Institute of Obstetrics and Gynecology of the University “La Sapienza” in Rome. No selective principle has been adopted. We have only invited the patient to leave a sample of saliva on the slide of the mini-microscope, and afterwards age, day of the cycle in which the patient was and length of her cycle were noted. 48 women, whose sample of saliva gave the fern-like characteristically stratification were invited to undergo an ultrasonography with transvaginal sound for the control of the ovarium and of the presence or not of the pertinent follicle. 20 women accepted our request, 28 women refused. Results are reported by Tables 1,2 and 3. In Table 1 we see nº48 women of nº328 who, as far as anamnesis is concerned, are in the ovulation period; nº40 of these women gave us the picture “Figure 3” type after test, nº40 gave us the picture “Figure 2” and nº248 the picture “Figure 1” type (Table 2). At the anamnesis, nº 36 women were in the intermediate period; in all 36 cases of this group, we have noted a picture “Figure 2” type. At the anamnesis, nº 244 women were in the non-fertile period and we have noted a picture “Figure 1” type in all the 244 cases. In the Table 3, are pointed out the nº20 cases who, at the saliva test, showed a picture “Figure 3” type and have accepted to undergo sonographic control by means of transvaginal sound. Table 1 – Number of women undergoing the saliva test, correlated to the supposed fertile or non-fertile period of the cycle. Table 2 – Picture stressed by means of the saliva test. Table 3 – Echographic control of nº 20 women by means of picture Figure 3 type of the saliva test. In 16 cases, equal to 80% of the total, an ovarian follicle has been stressed having dimension over 2 cm, in 4 cases a follicle having diameter less than 1 cm has been stressed. 1) Zondek B., Rozin S.: Cervical mucus arborization: its use in determining of corpus luteum function. Obstet. and Gynec., 3: 463, 1954. 2) Barbato M., Boerci M., et al. : Natural methods for fertility control. New Trends Gynaec. Obstet., 2: 325, 1986. 5) Mancuso S., Van Look P.F.A. : Natural fertility regulation today. Intern. J. Gynecol. Obstet., Suppl. I, 1989. The Saliva Fertility Tester can be used to determine the fertile period: the fertile cycle will be identified with a continuous use, cycle after cycle. The Tester will also allow, by repeating every month the tests, to obtain some significant indications about the monthly cycle behavior and the hormonal situation of the woman. The Fertility Tester can be used to avoid an undesired pregnancy: the comparison of the figures given in Tables1 and 2 indicate the following: at the anamnesis n° 244 women were in the non-fertile period and we have noted a picture “Figure 1” type. In all 244 cases at the anamnesis n° 36 women were in the intermediate period; in all 36 cases of this group, we have noted a picture “Figure 2” type. In both cases we had a perfect coincidence between supposed fertile or infertile days of the cycle and tests executed with “The Saliva Fertility Tester”. At the anamnesis 48 women were in the fertile period; in 40 of them we have noted a picture “Figure 3” type. Such difference is due to the fact that 4 of them had a meal one hour before testing, thus invalidating the result, and the other 4 may have not correctly performed the test. Therefore, even if we assume that all these 8 women were in fact fertile (very unlikely), the final result of such test is that ONLY 8 women out a panel of 328, i.e. less than 3%, resulted in false negative (in fact fertile) at the saliva testing. Great customer service, prompt and easy to deal with. But…. 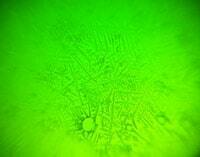 the lens innthe microscope has several black spots. Not matter how much I cleaned it. It came with the spots. Otherwise works great. True to discription. Sorry to hear of the issue with black spots, Julianne. Please drop us a note and we’ll get a new lens out to you! Arrived very quickly and customer service was great to work with! My only suggestion would be that it would come with much clearer instructions on how to properly use it (ex: what part of lens to use- instructions were unclear about this). But once I found a video on how to properly use it it is very easy to use and much more convenient than urine ovulation tests. Would recommend. Thank you for your feedback on the Fertile Focus instructions, and I’m glad that you’re finding it to be more helpful than urine based ovulation tests. Very best wishes to you on your TTC journey. Keep us posted! 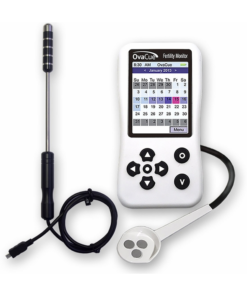 I have been trying the ovulation microscope for about a month and half. Seems it is not working for me. I am pretty sure I have ovulated but have not seen any ferning at all. Maybe I am doing it wrong…however, if that is the case then this product is too difficult to use. Love having another way to verify fertility every month. At first, we had trouble figuring out how to open the microscope to put the saliva on it, but once that was cleared up, we haven’t had any other issues. I found the fertile focus so easy to use and easy to read. I had been trying to conceive for 7 months on my own and using ovulation pee sticks I was unsuccessful in conceiving. After 1 month of using fertile focus I am pregnant. I never noticed anything even showing up on the lens, no dots, no ferning. I wish i could return it for regual r test strips.